Rave movie theaters are available in several states for movie lovers to enjoy the latest flicks. Rave theaters, also referred to as Rave Motion Pictures or RMP, strive to offer moviegoers an excellent entertainment experience. Features of most Rave theaters include seating with ample leg room, stadium style seating (with risers), digital projection, and cutting edge digital sound systems. Select theaters also utilize the innovative Real D digital 3-D technology for some movies. Rave gift cards make a great gift, and with no expiration date, no maintenance fees, and easy online balance checking and reloading, this is a gift the recipient can enjoy for any occasion, at any time. Perfect for large groups, raffles, fundraisers, and much more, the Director's Cut Discount program offers reduced rate tickets for either restricted (typically reserved for the first two weeks of a movie's showing) or unrestricted (good for any time) tickets. This program is available for purchases of fifty tickets or more. There is a downloadable form for this program available via the website, and payments can be made via check or credit card. Movie parties are fun for kids of all ages, and Rave offers a special party package program that makes birthdays and other parties stress-free. Party package prices are applicable for ten persons or more, and include admission to the show, a "movie meal" of popcorn, treat, and beverage, special seating before or after the movie, and a personal party attendant. For every ten attendees, Rave will also add one free admission to the party package. The Rave Movie Theater Field Trip Program offers a chance for teachers to enhance children's curriculum with education features or reward classes with age-appropriate entertainment features. The program is available for both standard and 3-D movies, although price differs. Minimum number of tickets for a field trip package is 50, and price includes a discounted popcorn and beverage. Those interested in this program should also note field trip movies' showtimes are mornings only, and all tickets must be prepaid. Whether for a corporate event, big birthday bash, employee incentive program, fundraiser, or other important events, Rave can provide private screening theater rentals for specific groups. 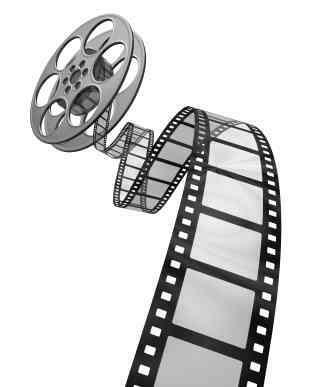 Both new and older films or classic movies are available for this program. To find your local theater or the Rave movie house nearest you, visit the location page of their website at Rave theater information. You can buy tickets for Rave movies easily online in conjunction with MovieTickets.com or in person at your local' theater's box office. To view movie showtimes, simply click on the "showtimes" icon listed next to the information listing for your local Rave theater from the website. In addition to the latest movies, Rave also hosts special features, such as big sports, live on theater screens and showings of artistic and cultural events, such as opera performances. True to their name, Rave Motion Pictures have moviegoers raving about service, quality, and environment. Customers describe theaters as impressive, a top choice, best in town, and superior, among others. To read reviews about the RMP theater near you, visit a site such as Insider Pages and search for the appropriate theater. For more information about Rave Movie Theaters, visit their official website at Rave Motion Pictures.